I assembled this around 2000 (final page has technical details), but all images for three years produced in that way were quite large, ~150 MB. I put it on a number of CD-ROMs and DVDs I distributed over the years. 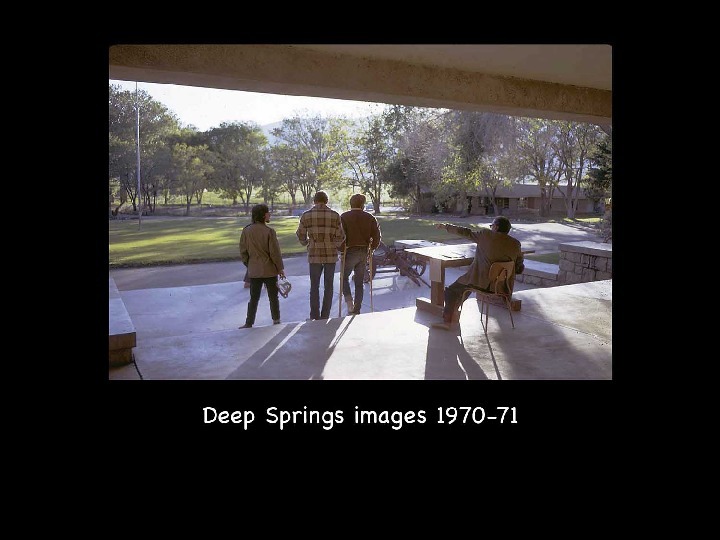 I could not shrink those down to the 20 MB file upload limit for Omeka with acceptable image quality, so broke it into 3 files by academic year (June-June). 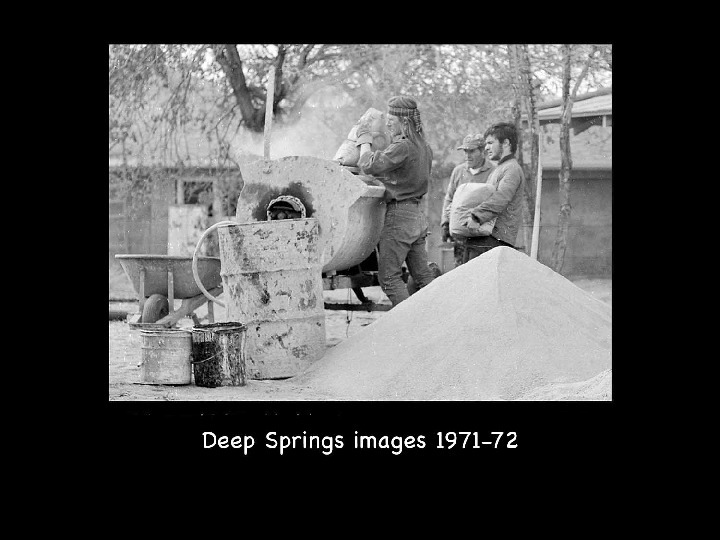 Some of these images appear elsewhere in the Archive, and it's an ongoing project to put more of them there - DEC, 2/2019. 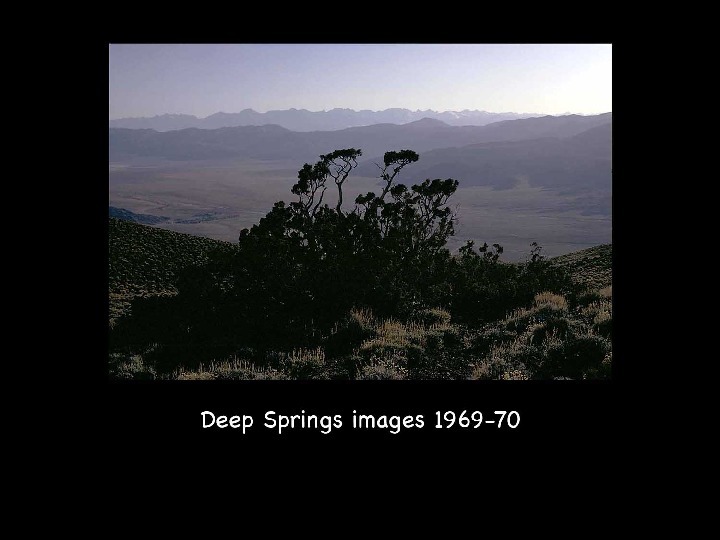 Denis Clark, “Deep Springs Images 1969-1972,” Deep Springs Archive, accessed April 21, 2019, http://archive.deepsprings.edu/items/show/1540.